Register or sign-on to enhance your experience when accessing personalized City information online. How Do I... Get, Pay, Apply, Find? The proposal includes initiatives that would minimize community impacts from major disasters, while also enhancing our quality of life in day-to-day activities. Richmond’s Earth Week events provide opportunities to learn about environmental issues and to take action towards creating green communities. 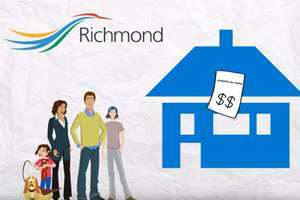 Learn how the City of Richmond is addressing growth and change in the community at a new series of Community Information Sessions being launched in May. Celebrate Earth Day in Richmond by planting a shrub or tree along Railway Greenway to help support the environment and raise awareness about green initiatives in Richmond. Explore both the north end of the Railway Greenway trail and the Fraser River along the Terra Nova dyke trail with its panoramic view of the airport. This walk is a treat for airplane and nature enthusiasts. BC Assessment sends assessment notices to all BC property owners every January. Click to watch a brief explanation video. The City of Richmond has submitted its ground-breaking, transformative Smart Cities Challenge proposal to Infrastructure Canada. A highly interactive and dynamic visitor experience, the ROX features interactive media, hands-on sporting simulations and displays.